I was hoping to post this earlier in the week, but other things in life were more urgent. 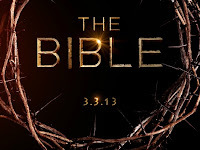 Each week I am planning to post some thoughts on the History Channel's presentation of The Bible. I watched the first installment last Sunday evening. I must confess that I came to the program as a skeptical observer. Trying to cram the entire Biblical narrative into ten hours seemed to be quite a difficult challenge. 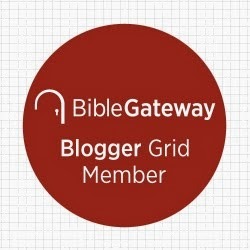 The main reason for me is that while the biblical narrative(s) are very diverse from Genesis to Revelation, there are also consistent "narrative threads" that run from beginning to end that should be highlighted if one is to present the big picture of the entire Bible. This is not a criticism, but a reality-- ten hours is not nearly enough time to present these narrative threads in a credible way-- and so far my concern is well founded. Having said that does not mean I was disappointed in the first two hours of the miniseries. I really liked how several scenes were portrayed. I thought the opening where Noah is reciting the creation story and the Garden of Eden narrative to his family while they are fighting the rain and the waves was very dramatic and a nice way to set the stage for the rest of story. The portrayal of the sacrifice of Isaac with Sarah realizing what Abraham was about to do and running to the scene was particularly intense. No, Genesis does not portray Sarah in this way, but it added drama to the story that was powerful. The plague of the firstborn in Egypt and the crossing of the Red Sea sure looked very Cecil B. DeMille and Charlton Heston-esque, but that may simply reflect a by-gone era and a previous movie that was done well in certain places. The two scenes that struck me as problematic were the first insignificant and the second not so: the former insignificant scene was the portrayal of one of the angels at Sodom as a double-sworded samurai. It just seemed less Near Eastern and more Bruce Lee in character. That was strange to me, and even somewhat bizarre. I chuckled reading a couple of reviewers who bemoaned the violence of the scenes, particularly Lot's flight from Sodom. I guess raining down fire and brimstone upon the inhabitants of an entire town is equivalent to a game of dodgeball. The greatest concern was the all-too European character of the actors. While I have no knowledge of how actors are secured and who gets what parts, the all too obvious Caucasian character of the cast was clear in most places. It is very important to dispel the mythology that Abraham and Sarah, Moses and Joshua looked more like citizens of rural Montana than the ancient Near East. If history is important, than the portrayal of characters and their complexions is significant as well. Yes, I understand that cinematic license was at work during the movie. How could anyone express surprise over that? It's rather unreasonable to utilize documentary criteria on a movie that is not a documentary. 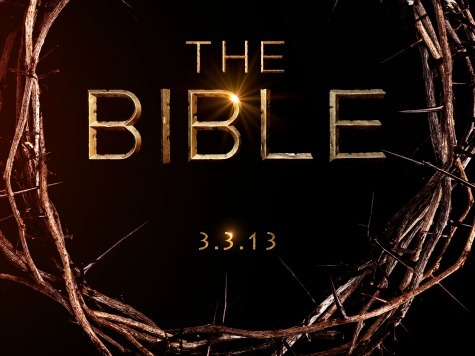 I appreciate the drama of it all in "The Bible." If the Bible is a drama, a divine drama in which God is the main actor working in history-- and it is-- the dramatic is important. Moreover, I am interested in anything that may spark interest in the Bible from which a new or renewed conversation might emerge. If "The Bible" does that, even with its warts, I am all for it. I am looking forward to the next installment of The Bible to see how it is portrayed. I will have more thoughts next week. I had a DVD of a play filmed in Egypt about the prodigal son. It surprised me how much more relevant it seemed using actors of the near east as opposed to ethnic Euros. Renewed Strength has partnered with The History Channel to offer a free "The Bible" companion book giveaway! Visit Renewed Strength to enter daily! While I don't know if it was intended to represent a deeper look at the story or was just inserted to add drama, I thought Sarah's desperate search for Isaac was a pleasant surprise. Overall, however, I was less impressed. It's Hollywood. Considering that, it's like the parting of the Red Sea! We'll have to see how the rest of the movie plays out. One thing I’ve noticed over these past two weeks is how anthropo-centric this series has been. Granted, the books of the Bible were written/edited in a male-dominated, patriarchal society, and the volume of space dedicated to men does indeed outweigh that given to women in the Bible. Still, no real space was given to Miriam and her role in the exodus. Honestly, I can’t even remember if her presence was even acknowledged last week. Rahab was shown in the Jericho scenes, but I frankly can’t see how they could have ignored her given her relevance to the story. No mention was made, however, of Deborah during the Judges period. Samson’s wife was there, but as you’ve indicated, the focus on him as a pre-figuring of Christ obviously pointed to her being a pre-figuring of Mary, who will be played by Roma Downey, one of the co-creators of this series. All of this is to say that the series seems to either generally ignore women, or acknowledge them when they are serving in motherly roles (as was the case with Sarah and Samson’s mother). I don’t know if this oversight is intentional. For the sake of charity, I will assume that it is not. Regardless, I think the series is both a product of and serves to reinforce a very male-dominated reading of the biblical texts and understanding of the Christian faith. Needless to say, I’m not holding my breath in anticipation of seeing Junia, Phoebe, or Priscilla in the New Testament sections. I apologize for the length of this response. My thoughts seemed to have run away with me. Thanks for your very thoughtful comments. Indeed, I am with you on much of what you say. I am currently finishing my review of part 2 and I make mention of many of these things.